While the weather has not yet decided on whether or not it is ready for springtime, we know that everyone is pretty much done with the cold and ready to enjoy the outdoors again. Here at GreenLawn by Design, we want to make sure that your property is ready for spring. 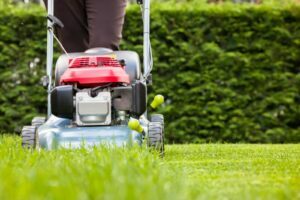 To help you out, and make it easy for you to take care of your lawn’s needs, here are some simple ways you can get your lawn ready for spring. To control crabgrass and other lawn weeds, maintain a vigorous healthy turf so weeds can’t get established, apply a pre-emergent herbicide in early spring. Weeds are annual plants and come from seeds like everything else in your lawn. Applying a pre-emergent will stop weed seeds from germinating. But it’ll also stop grass seed from germinating – so be careful! 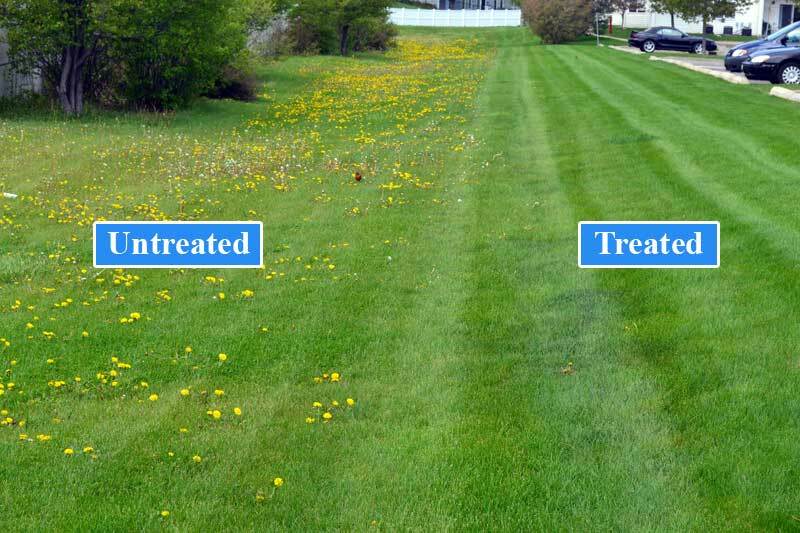 If you already have lawn weeds, you can use a selective post-emergence herbicide, which kills the weeds you have. However, some herbicides can also kill your grass if you’re not careful. It’s better to take preventative steps to get rid of weeds. Feed your lawn, it is hungry! A happy lawn is a green lawn. Feeding your lawn and the soil the nutrients it is lacking is a great way to make it happy and green. Fertilizing is a treatment that supplements your lawn with the vital nutrients your soil is lacking. Think of it like taking vitamins that the doctor says we are low on. Using the right lawn fertilizer at the right time can help you achieve a lush and green lawn. It’s important to fertilize your lawn in the early spring before your lawn enters its peak growing season. For early spring fertilizing, you can use weed and feed products that contain fertilizer and pre-emergent. Trees and shrubs often are forgotten when it comes time to fertilize the yard in the spring. Young trees, especially those with a trunk diameter of less than six inches, can benefit from regular applications of fertilizer. When young trees soak up nitrogen fertilizer, they grow quickly, develop a dense canopy and stay green into the fall. Established trees and shrubs grow and change each season, requiring regular maintenance. Each new season in the Hamilton County area introduces threats, including disease, insects, and weather, that can damage or destroy your trees and shrubs. If you answered yes to any of these questions, the tree might benefit from fertilization. The best time to fertilize is in the spring. An application of fertilizer in the spring gives an additional boost to this new growth. It’s also important to maintain your lawn mower. As spring rolls around, you should prepare your lawn mower for another season of work. This means cleaning the engine, changing the oil filter and fuel, cleaning the undercarriage and sharpening the lawn mower blade. A dull lawnmower blade can shred the lawn and give it a dull brown appearance. A clean cut will help keep your grass healthy and prevent disease. Before long the sound of lawn mowers and the smell of fresh cut grass will fill the air. A few things should be done in advance that will help your lawn to be at its peak. For the first mowing of the year it is generally suggested to mow at 2-2 1/2 inches to help the sunlight get to that new growth faster and remove the dead upper portion of last year’s grass blades and hasten the spring green-up. Luckily, we’ve had plenty of rain so far to keep your lawn from drying out, but keep an eye on it after the first mow to make sure it doesn’t get too thirsty. Don’t forget to reset the cutting height back up to 3 inches for the rest of the year. 3 inches in height is ideal for this time of year. Tall grass grows deeper root and crowds out weeds. The best time to water your lawn is between 6 a.m. and 10 a.m. because your lawn will have the entire day to dry. Avoid watering your lawn between 11 a.m. and 3 p.m. because it’s the hottest part of the day and most of the water will simply evaporate. Still feeling overwhelmed and not sure how to give your lawn the best start this spring? Don’t have time to care your lawn? Call the pros at GreenLawn by Design! Our knowledgeable team can get your lawn ready for spring and also keep it looking great throughout the year with one of our customizable recurring maintenance packages. Our technicians are licensed by the Indiana State Chemist, live in the community and bring the expertise your yard needs. Nothing says spring like a fresh green lawn. Trust the locally, veteran-owned experts at GreenLawn by Design. 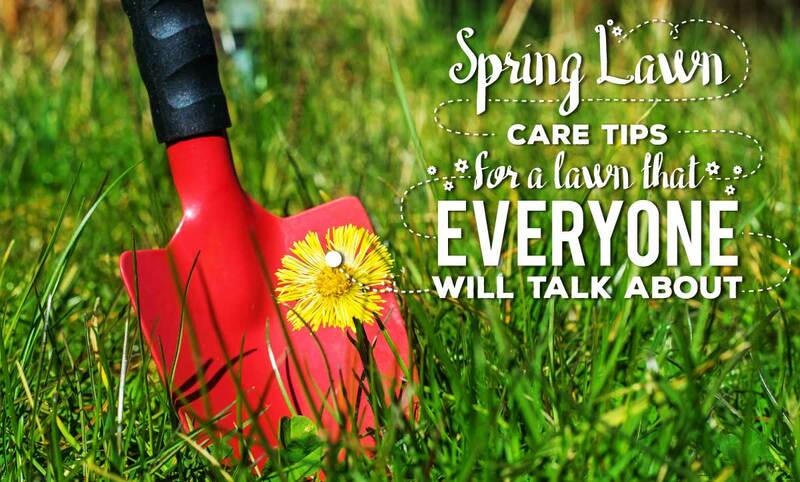 For more tips on lawn fertilizer, lawn care plans, and tree and shrub treatment, visit our website. We’re conveniently located in Carmel, Indiana, just minutes away from Westfield, Fishers, Noblesville, Zionsville and surrounding areas. Please call us 317-804-8088 or complete the contact form for your Free Estimate!